Antony Marcano is co-founder of RiverGlide, a company that guides organisations in all aspects of agility. Most of his 20+ years experience has been with Agile teams and guiding organisations that aspire to greater agility. Antony's thought leadership is acknowledged in numerous books including Agile Coaching, Bridging The Communication Gap, Software Craftsmanship Apprenticeship Patterns and Agile Testing. Antony is also published in journals, such as Better Software Magazine, earning him his tenure there as Technical Editor. Antony is known for his inspiring and thought provoking keynote talks at international conferences, events and organisations and is a regular industry guest speaker at Oxford University. Antony guides leadership in driving innovation culture, helps teams with continuous improvement and supports practitioners learn/improve agile practices from User Stories, Behaviour Driven Development, Test Driven Development, Pair Programming and Agile Testing. From keynote talks to hands-on workshops, Antony inspires and informs at international conferences and internal events. Sessions range from unlocking the talent in an organisation to practical workshops to understand a wealth of Agile practices & techniques. Antony works hands on with your teams to create highly readable, maintainable code and test automation. Antony is known for inventing the Screen Play Pattern, a design-pattern for production-grade quality in test-automation code and with frameworks such as Cucumber. 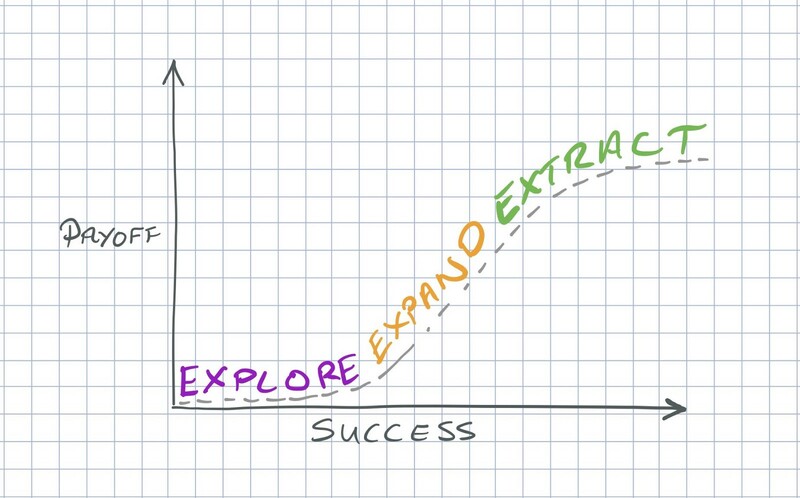 3x: Explore, Expand, Extract — is a thinking model to frame, understand and adapt to changing contexts on the path of a winning idea. It offers a model of alignment — as applicable to CEOs, CFOs, CIOs & CTOs, as to product management, development, operations and beyond.